Hands-on lessons in entrepreneurship evolved into a marketplace filled with tutus, bow ties, homemade slime, bath balm, soap bars and more at Kids’ Day Entrepreneurship, Friday, Dec. 8, from 10 a.m. to noon, 6005 Westview, Houston, Texas. Hosted by Harris County Department of Education’s Center for Afterschool, Summer and Enrichment for Kids, or CASE for Kids, the event brought together about 150 students from 10 area schools. Afterschool students from Alief, Aldine, Houston, Stafford, Spring, Clear Creek, Galena Park, Humble and Southwest Schools Charter studied entrepreneurship, marketing and money management during their afterschool programs. The curriculum created by CASE for Kids prepares students for this culminating event. 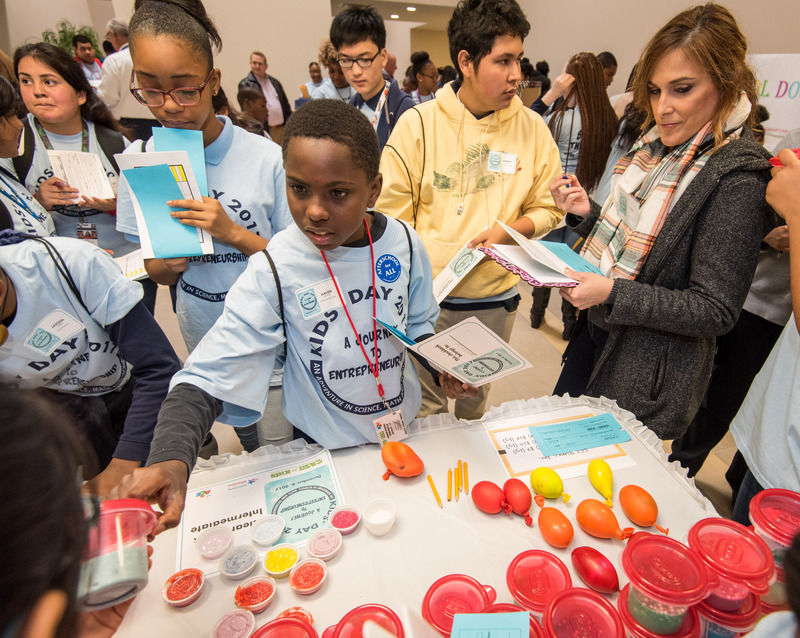 Kids Day at Entrepreneurship gives Houston-area students real-life, hands-on experience in business practices, economics and marketing. Guest bankers will assist the students with opening mock checking accounts and completing mock loan applications.